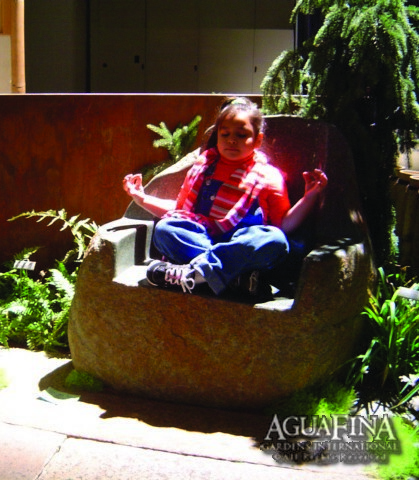 Our custom designed stone furniture is surprisingly comfortable. 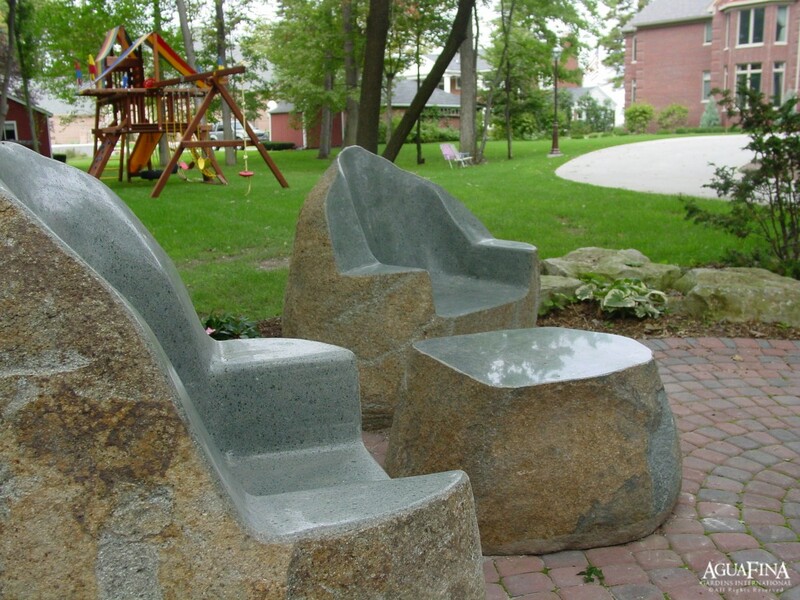 Each piece is carved from natural granite boulders that have been hand selected. 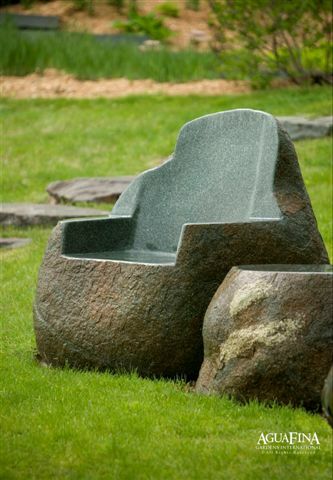 The outside surface of the stone is left with a natural finish while the inside of the stone is sculpted and highly polished. A choice of colors of dark grey or dark green/grey are available. 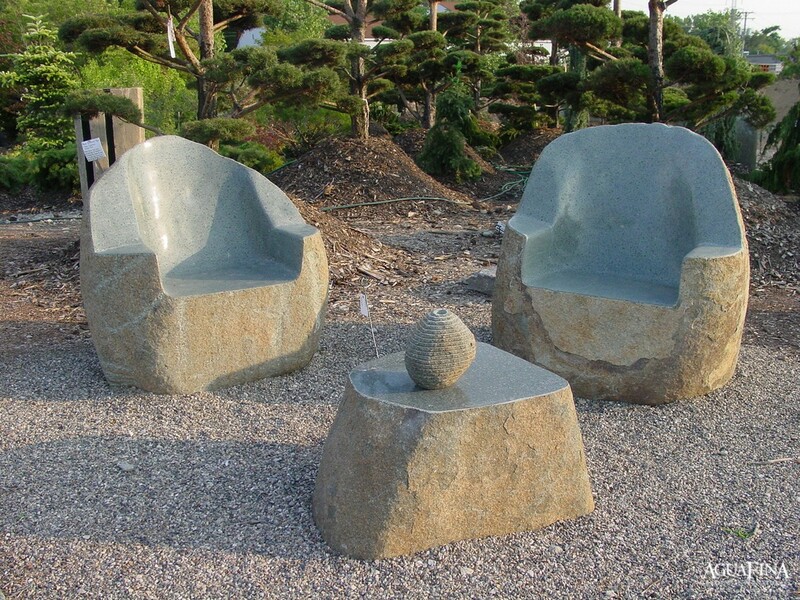 Hand carved, these stone chairs are surprisingly comfortable.